Below you fill find all funeral homes and cemeteries in or near Falmouth. Suburbs of Falmouth: Brownings Corner, Four Oaks, Goforth, Lenoxburg, Locust Grove, McKinneysburg, Morgan, Neave, Pendletn Cnty, Pendleton County. Falmouth is also known as: Pendleton County / Falmouth city. Zip codes in the city: 41040. Pendleton County funeral flowers can be purchased from one of the local funeral shops we partner with. Some of the notable people born here have been: Beth Broderick (actor and philanthropist). 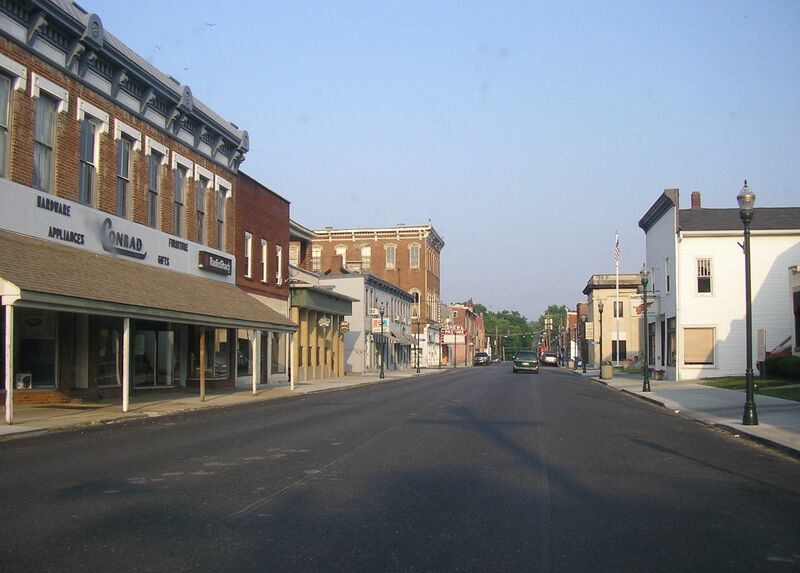 Falmouth is a home rule-class city in and the county seat of Pendleton County, Kentucky, in the United States. The population was 2,058 at the 2000 census. It lies at the confluence of the South and Main forks of the Licking River and is home to Kincaid Regional Theatre. It was revealed on March 24th, 2019 that Alice Locke passed on in Falmouth, Kentucky. Locke was 91 years old. Send flowers to share your condolences and honor Alice's life. It was disclosed on March 15th, 2019 that Edna Wyatt perished in Falmouth, Kentucky. Wyatt was 90 years old. Send flowers to express your sorrow and honor Edna's life. It was noted on March 13th, 2019 that Gary Bishop passed on in Falmouth, Kentucky. Bishop was 69 years old. Send flowers to express your sorrow and honor Gary's life. It was revealed on March 13th, 2019 that Miley Candace Martin (Wright) perished in Falmouth, Kentucky. Ms. Martin was 52 years old. Send flowers to express your sympathy and honor Miley Candace's life. It was reported on March 13th, 2019 that Carlis McDowell perished in Falmouth, Kentucky. McDowell was 87 years old. Send flowers to express your sympathy and honor Carlis's life. It was disclosed on March 7th, 2019 that Glen Bolen passed on in Falmouth, Kentucky. Bolen was 62 years old. Send flowers to express your sorrow and honor Glen's life. It was noted on March 2nd, 2019 that LeRoy Ferguson passed on in Falmouth, Kentucky. Ferguson was 87 years old. Send flowers to express your sympathy and honor LeRoy's life. It was revealed on February 22nd, 2019 that John Wesley Kinney perished in Falmouth, Kentucky. Kinney was 86 years old. Send flowers to share your condolences and honor John Wesley's life. It was noted on February 20th, 2019 that Anna Baumgartner perished in Falmouth, Kentucky. Baumgartner was 91 years old. Send flowers to express your sorrow and honor Anna's life. It was disclosed on February 20th, 2019 that Juanita Smith passed on in Falmouth, Kentucky. Smith was 76 years old. Send flowers to express your sorrow and honor Juanita's life. A 1968 tornado leveled many homes in the town. The population was 2,058 at the 2000 United States Census census. It is the county seat of Pendleton County, Kentucky County and is the meeting point of the South and Main forks of the Licking River (Kentucky) River. The history of Falmouth dates back to the 1700s but the town is perhaps best remembered over last half of the 20th century for natural disasters that have devastated the town. The river reached 52 feet (24 feet above flood stage) and left 80% of the town under several feet of water. In 1997, a major flood on the Licking River again left the town crippled. The finest roses, gifts and Mother's Day flowers delivered fresh. Serving Falmouth, Kentucky, surrounding suburbs and the entire country. We work with local florists and flower shops to offer same day delivery. You will find budget sympathy flowers in Falmouth here. Our funeral flowers are cheap in price but not in value.